John Sexton’s office, which sits on the top floor of NYU’s Bobst Library and boasts an impressive view north to Washington Square Park, has recently begun to resemble a shrine to Abu Dhabi. The university president has installed a massive Oriental rug, a gift from the crown prince, on one entire wall. On another hangs a framed portrait of the sunglasses-clad founder of the United Arab Emirates, Sheikh Zayed bin Sultan Al Nahyan. In the center of the room is a large framed photograph of an Emirati woman, hand covered in a henna tattoo, gazing provocatively from behind a sequined veil. When we start to talk about NYU’s expansion plans in Abu Dhabi, Sexton props his sneakers up on the coffee table, then folds them beneath his chair, kindergarten style. He looks uncomfortable, as if he’d rather play the schlumpy college professor—unkempt hair, rumpled clothes, rotund paunch—than a global tycoon. And over the next two hours, Sexton tries to downplay his own role in the university’s Abu Dhabi plans. But he just can’t help himself. Within less than three years, NYU plans to more or less clone itself in Abu Dhabi, thereby becoming the first major U.S. research institution to open a complete liberal-arts university off American soil. It is a wildly ambitious project, far more grandiose than simply opening up a foreign branch or study-abroad program. Unlike any other major American university, NYU will treat its offshore campus as virtually equal to its New York campus. NYU Abu Dhabi students will be chosen by the same admissions procedure, and will graduate with the same degrees, as their Washington Square colleagues. Eventually, Sexton hopes that New York and Abu Dhabi will serve as two nodes for a global network of NYU programs and classes. And despite his protestations, it is impossible to imagine NYU’s initiating this expansion without John Sexton at the helm. The president has taken the thirteen-hour flight to the desert emirate four times over the past two years to personally broker the deal with the crown prince of Abu Dhabi. He refers to his trips there as a “spiritual experience” and sees the project as honoring his late wife. When NYU opens its Abu Dhabi Institute (a precursor to the full-fledged campus) this fall, Sexton himself will be teaching one of the first courses—traveling from New York to Abu Dhabi and back every other weekend. “I can’t wait to teach my class over there,” he exclaims, his face flushed with excitement as he throws his feet up in the air and falls back in his chair. Sexton admits he is worried whether, as he puts it, “I have the leadership capability to explain adequately to my colleagues what we’re doing.” Indeed, the project has faced particular criticism among a faculty that has often found itself at odds with Sexton’s empire-building. “Of all of Sexton’s projects, Abu Dhabi is really the one where professors are drawing the line,” says Andrew Ross, chair of the NYU chapter of the American Association of University Professors. Many professors fear that, as sociology professor Craig Calhoun puts it, NYU is “creating a second-tier version of itself,” spreading itself too thin and turning the university into an academic chain restaurant—“a conglomerate with a number of wholly owned subsidiaries.” Others object not just to the risk of brand dilution but to Sexton’s wholesale embrace of a regime with a troubling history regarding academic freedom and human rights (not to mention the state of Israel). Similar entreaties by Arab states have recently been rejected by other American universities; why, critics wonder, has NYU’s president not been dissuaded? Sexton argues that the plan will vault the university into the top echelons of global academia. The scale of Abu Dhabi’s support, he says, will help NYU to expand its student body by 4,000 over the next 25 years, to boost its meager endowment (currently about one-fourteenth the size of Harvard’s), and to transform itself into a “glocal” university. He knows such dramatic changes will make some faculty anxious, but he believes that when they consider the opportunity as much as he has, they’ll come around. To Sexton, growth is by definition virtuous, and international engagement a matter of moral courage. Al Mubarak sports frameless glasses and wears his white kaffiyeh flipped over one side of his head in this season’s popular style, known around town as “the Bluetooth.” At 32 years old, he is CEO of the government-owned investment company Mubadala, and as such he oversees a cadre of young leaders charting the course for Abu Dhabi, the capital of the United Arab Emirates and the richest city-state in the world. They have set their sights on becoming an international hub competitive with London, Shanghai, and New York, and their strategy to do so is very new-money: a global shopping spree for the world’s most prestigious status symbols. Last year, Abu Dhabi signed a $2 billion deal with Warner Bros. to open a megastudio and jump-start a burgeoning entertainment industry. It is pumping millions into a new English-language newspaper that has already hired top writers and editors away from the Times, The Wall Street Journal, and The New Yorker. It recently signed deals with Cleveland Clinic and the Imperial College London to open branches in the emirate. And, most spectacularly, it is sinking $27 billion into the adjacent Saadiyat Island, which over the next decade will be transformed from a deserted sand bank into the most highbrow cultural theme park on Earth. It should surprise no one, then, that one of Sexton’s primary initiatives of late has been to create, in his words, “the world’s first global university in the world’s first truly global city.” Under his tenure, NYU’s study-abroad rates have increased from 23 percent to 42 percent—the school sent more students abroad this past year than any other American university. Sexton wants that number to increase to 50 percent and has recently opened new study-abroad sites in China and Buenos Aires, for a total of nine semester-abroad programs run by the university. NYU’s business school is partnered with the London School of Economics and the HEC School of Management in Paris, and the NYU law school and Tisch School of the Arts have both set up programs in Singapore. Meanwhile, over 5,000 international students studied at the New York campus last year, making NYU the U.S. university with the third-most international students. In Good Company; NYU's Abu Dhabi campus will be on Saadiyat Island, above, currently empty desert but soon to become the world's most highbrow cultural theme park. 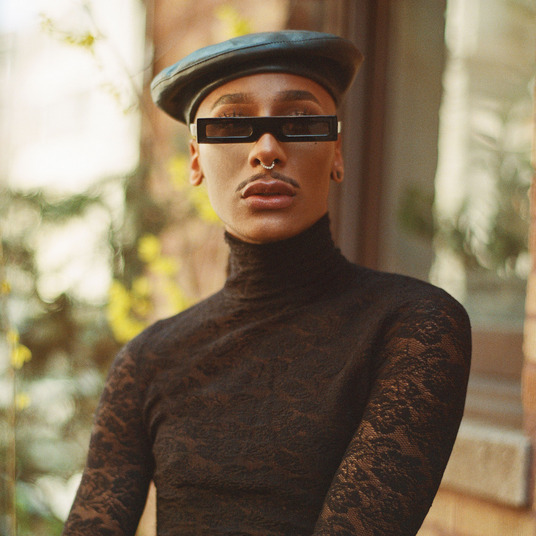 Together they envisioned a campus that will offer the same-caliber education as NYU’s main campus, “but with an Arab twist,” Al Mubarak says. Unlike other American universities that have recently flocked to the region (Cornell, Georgetown, Carnegie Mellon among them) to open specific programs for, say, medicine or engineering, the new NYU branch will be a complete campus, offering the full spectrum of liberal-arts courses within a research university. To oversee the planning of the new NYU campus, the university tapped Ballon, a former Columbia professor of art and architectural history who spearheaded last year’s revisionist exhibitions of Robert Moses. According to Ballon, various star architects will design multiple buildings that attempt to “translate the identity of NYU” to the Middle East. The school even brought a team from Mubadala to New York in November to, in Ballon’s words, “soak up the atmosphere.” But Ballon’s task is not to insert NYU into an existing foreign city; it is to plan for an urban campus on a piece of land that today is literally a desert island. “It’s an amazing opportunity for the university to seed the urban fabric the way we would like it,” Ballon says. 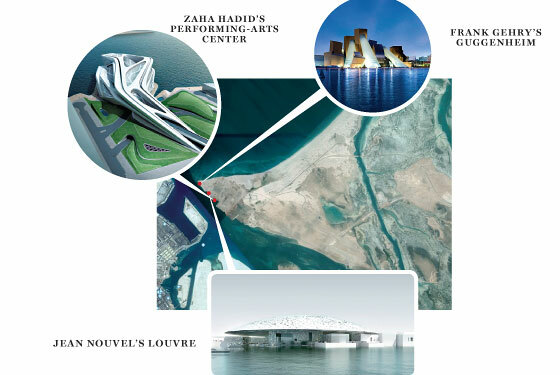 “Where else would you basically get to operate on a tabula rasa?” Eventually, the campus will share Saadiyat Island with a new outpost of the Louvre designed by Jean Nouvel and a new Guggenheim by Frank Gehry; a Zaha Hadid–designed performing-arts center, possibly partnered with Lincoln Center; a maritime museum by Tadao Ando; and a canal-side park for a biennial international arts festival—not to mention 29 luxury hotels, three marinas, two golf courses, and hundreds of waterfront villas. The grandiosity of vision may have hooked Sexton, but Abu Dhabi’s financial generosity was also enticing. Though the two sides have not agreed on a concrete dollar amount, Sexton says that the university has essentially been given a blank check from Abu Dhabi to fund his most expansive fantasies. On a Friday afternoon in February, a dozen NYU faculty members—tenured professors, department heads—sit around a long wooden table in a townhouse off Washington Square. They have gathered in an exasperated effort to understand why the university would choose to open a campus in Abu Dhabi, and the atmosphere is one of outrage and confusion. “Who will do the hiring?” one professor asks. Perhaps most striking is not how far Sexton has strayed from the conventional values of higher education but how faithfully he has crafted New York University in the image of today’s New York City. Others question whether Sexton’s own Supreme Court and Religion course—not to mention Theories of Gender and Sexuality, or the Constitution in the Age of Terror—will be welcome in a country that lacks an independent media and judiciary or a separation of church and state. Two years ago, a foreign lecturer at a university in the emirates was dismissed for showing and discussing controversial Danish cartoons that ridiculed the Prophet Muhammad. Al Mubarak and Sexton have agreed on a model in line with the U.A.E.’s many free zones, in which the school will have autonomy within its campus to decide curriculum, faculty hiring, and student admissions. Off campus, however, is a different story. Homosexual activity is illegal in the United Arab Emirates, and those found guilty of drug use, prostitution, or adultery can be sentenced to flogging. “We have to accept the fact that, like in New York, we cannot provide immunity to students or faculty members at NYU Abu Dhabi from the normal laws of that society when not engaged in activities on our campus,” Sexton says. Abu Dhabi has also come under fierce criticism from groups like Human Rights Watch for its mistreatment of foreign laborers, mostly Pakistani and Indian, who have shouldered much of the country’s breakneck development. With few labor laws in place, there is little NYU can do to assure that its new campus will not be built by this workforce. Human Rights Watch has already criticized the Guggenheim for failing to address these concerns in the planning of its Abu Dhabi branch. But perhaps most striking is not how far Sexton has strayed from the conventional values of higher education but how faithfully he has crafted New York University in the image of today’s New York City. Like Glenn Lowry, who has doubled the size of MoMA during his time as director, and Thomas Krens, who invented the idea of the global Guggenheim, Sexton has grown his institution in lockstep with the boom times of the last few years. And like Vikram Pandit of Citigroup and John Thain of Merrill Lynch, he’s demonstrated a homegrown knack for sniffing out foreign wealth eager to acquire blue-chip New York property. There are risks in running an academic institution like a multinational corporation, but losing one’s New York City sensibility doesn’t appear to be one of them.